I really feel so powerful watching "Black Girls Rock", a room full of beautiful, powerful and hard working black women who are bringing change and light to the world is just amazing. Watching "BGR" every year really motivates me to keep striving, working hard and reaching for my goals. This years award recipients were a great collective group of amazing black women. Not that the previous recipients weren't well deserving, this years list was just phenomenal. 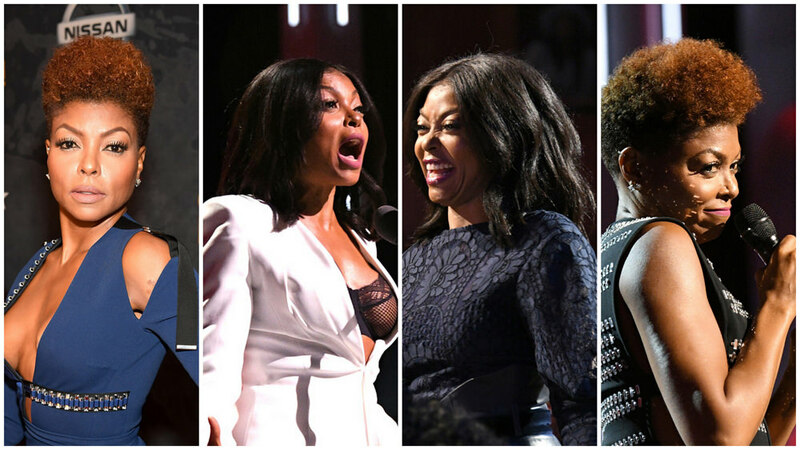 The show was hosted by Taraji P. Henson, I love Taraji and I think she did a decent job but i'm going to need BET to hand the hosting back over to Tracee Ellis Ross, who kills the hosting every year, especially last years show. Nonetheless Taraji was beautiful, and gave us many looks last night. I don't think I could say that I had one favorite look because all of the looks were "ok" to me but the wig switch ups gave me life! 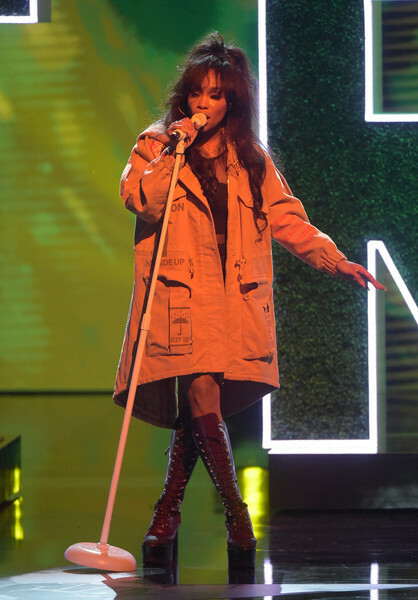 SZA opened the show giving me modern day Kim Possible meets Inspector Gadget vibes, performing "Normal Girl" from her "Ctrl" album. I was so happy when I saw that she was opening the show, I just love her! Her look was "alright" but her hair was just amazing! The first person to get honored last night was Black-ish star Yara Shahidi who I think is so beautiful, poised and such an amazing and intelligent young woman. 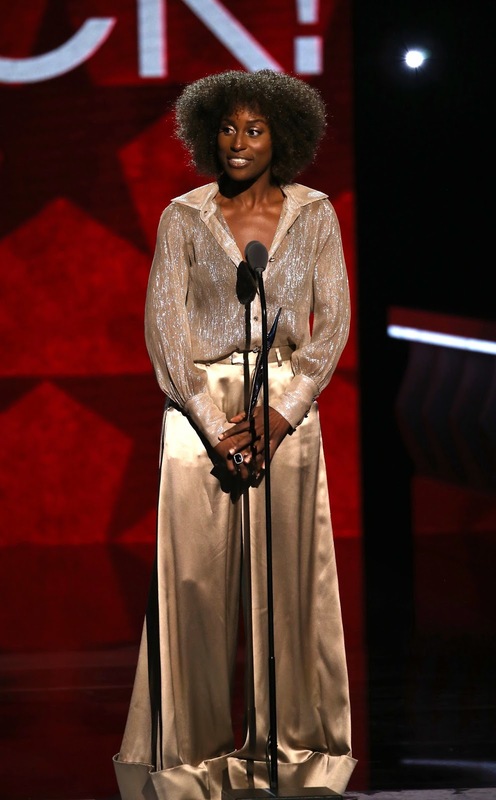 Her speech was so well put together and spoken so well. Her look however was not my fave, i've seen her look way better. I felt like the look didn't fit her body and it aged her a bit, she's so young and I feel like her looks should reflect that. Her hair was beautiful! 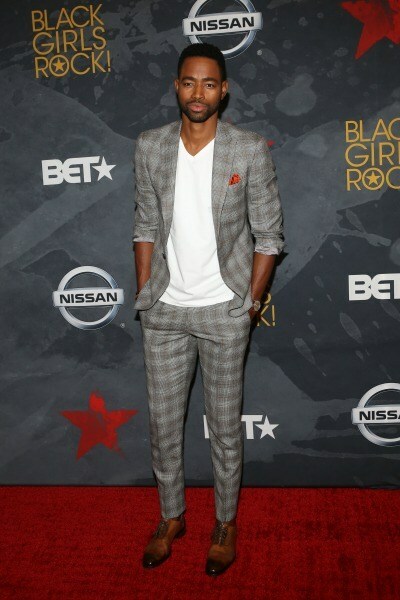 His look was well put together and tailored perfectly, a mans suit should always be well tailored. I love that it was dressy but still had an element of casual with the white tee, it was a great look! One person in particular that I was just so excited for has to be Issa Rae, ughhh I love her so much! 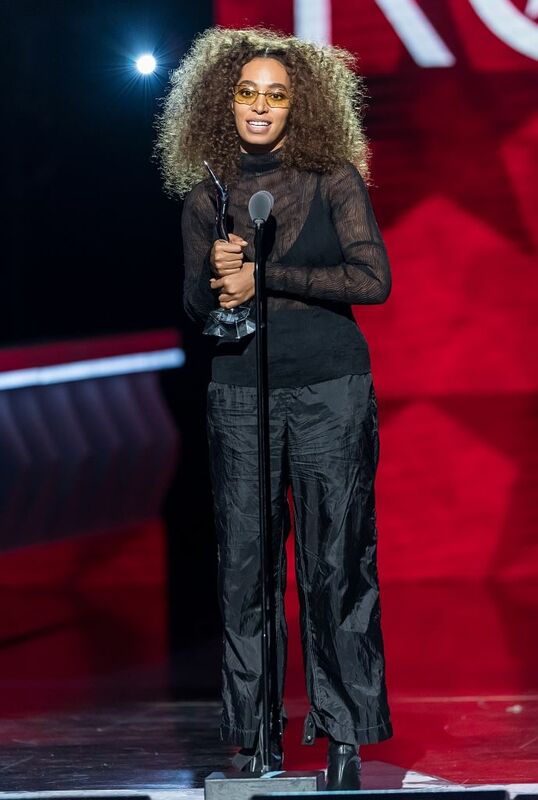 She deserved that award so much, I remember watching "Awkward Black Girl" on YouTube with one of my college friends who introduced me to it and just LOL'ing. She is just so naturally funny, talented and beautiful. Her speech last night was everything! 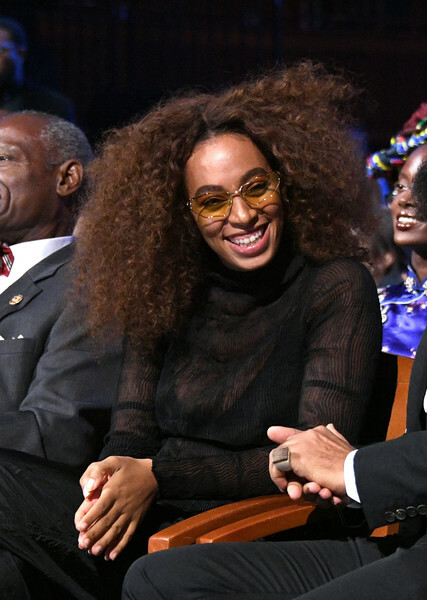 Solange has been "IT" for me, her music has just always touched me from day one and i'm just so happy for her. I loved everything about it, giving modern day Black Panther. She looked beautiful! The hair, the eyewear, then mesh, the all black, just casual and beautiful, definitely a look I would re-create. 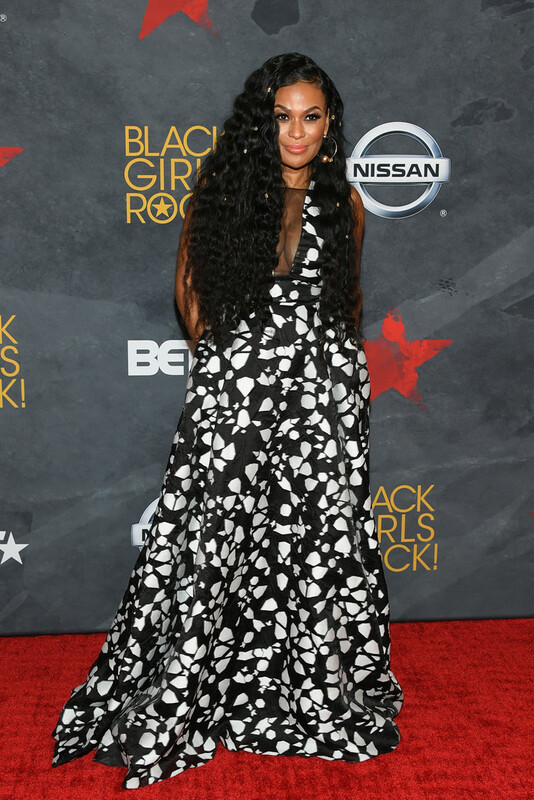 And last but definitely not least, the creator of "Black Girls Rock", Ms. Beverly Bond. Thank you for creating a show like this to inspire and empower other black women. I literally feel so powerful watching this show and I just hope to be there one day, just sitting in the audience and one day accepting an award for changing something in style/fashion and or entertainment for black women. And Beverly is just freaking beautiful!